Intergamma is the parent company for 2 DIY chains in the Benelux countries: Gamma and Karwei. 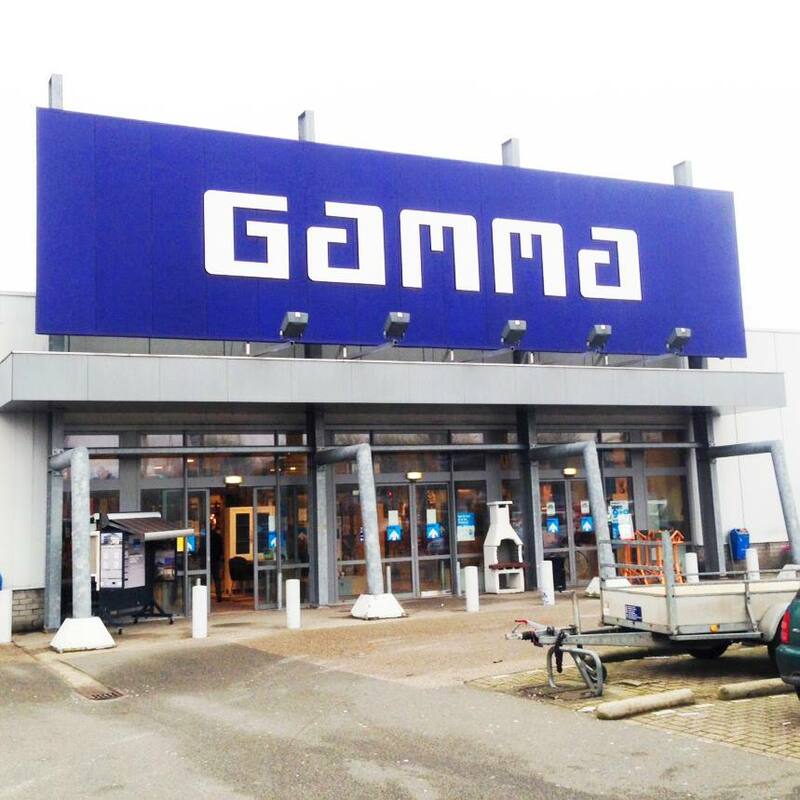 Gamma has 166 stores in the Netherlands and 83 in Belgium. 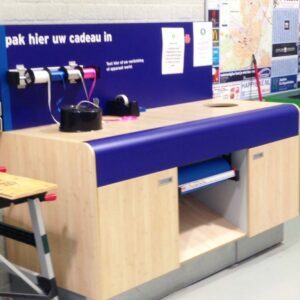 Karwei has 136 stores in Belgium. It’s an interesting structure. While the stores are a franchise, they do not have the autonomy in product selection that a U.S. Coop store owner would enjoy. Purchasing decisions are made by the buyer and category manager at Intergamma corporate HQ and implemented in all stores. The stores are “home center” format, typically with the “racetrack” layout, traditional racking and a product mix nearly 100% DIY. Steve skipped breakfast in anticipation of another parking lot wurst and was left with an empty belly due to a closed up kiosk at the store. He is looking forward to finding out tomorrow what the Swedish serve in the DIY parking lots! Stay tuned. After decades of tailgating at Lambeau Field, I consider myself a connoisseur of parking lot cuisine. 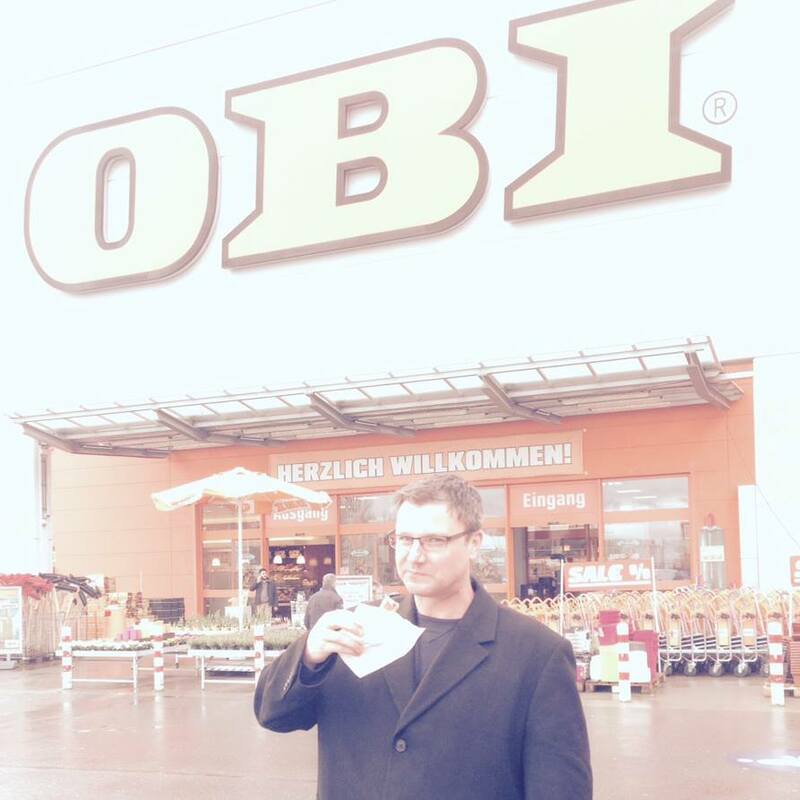 Today, while doing some in-store research at Germany’s largest DIY retailer, I found myself needing a bratwurst cooked standing on asphalt. It was a good bratwurst and excellent mustard. 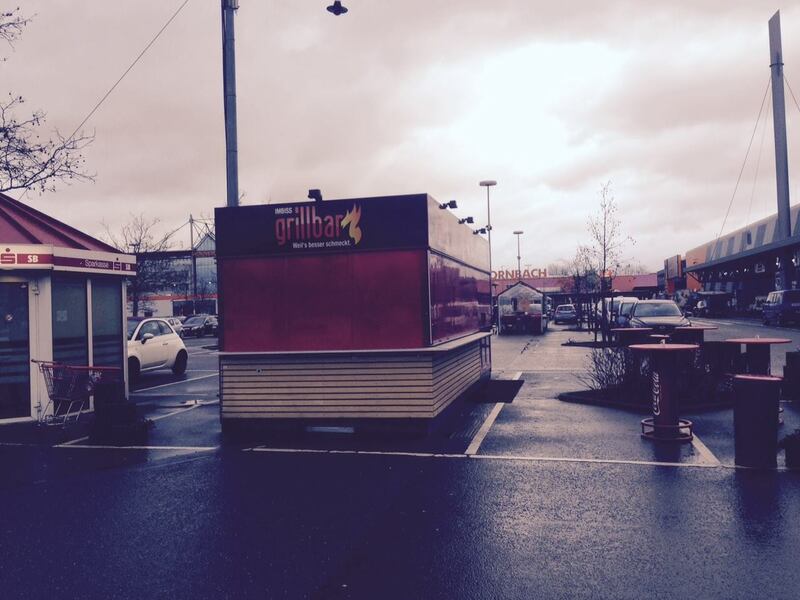 Cooked over real coals in the parking lot kiosk. The roll got a little soggy with the rain but the double napkin saved the experience. 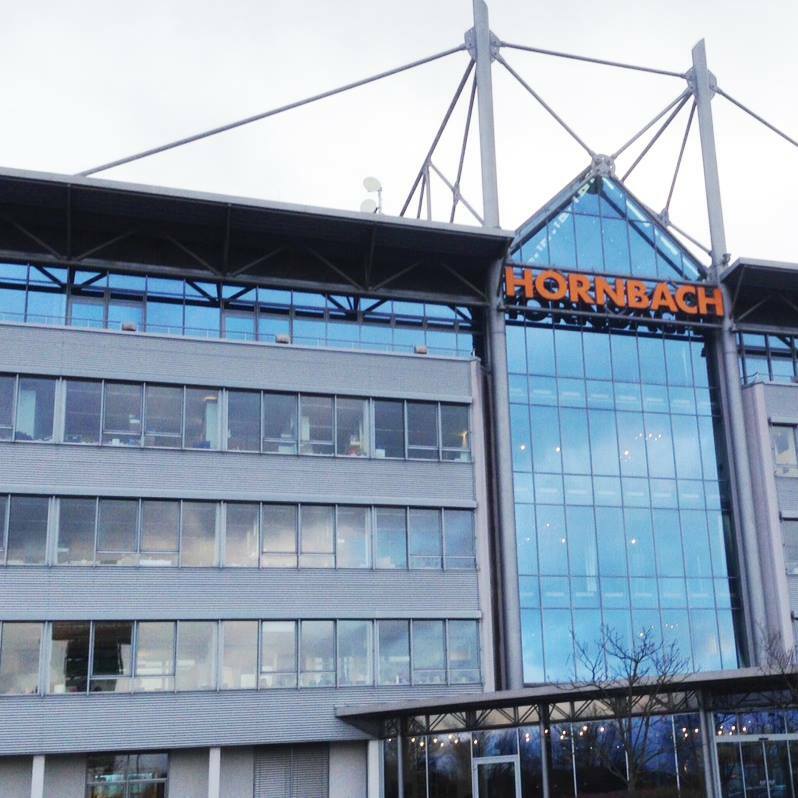 In Bornheim bei Landau Germany today at the Hornbach corporate headquarters for a follow-up meeting with a President Council member and an old friend who runs the import department. 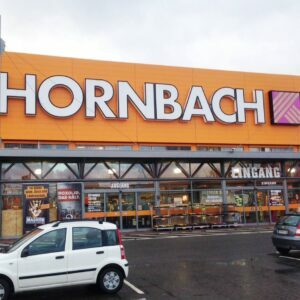 HORNBACH operates 146 stores in 9 European countries with around $3.7 Billion annual sales. They are privately owned and the stores are very large warehouse format. 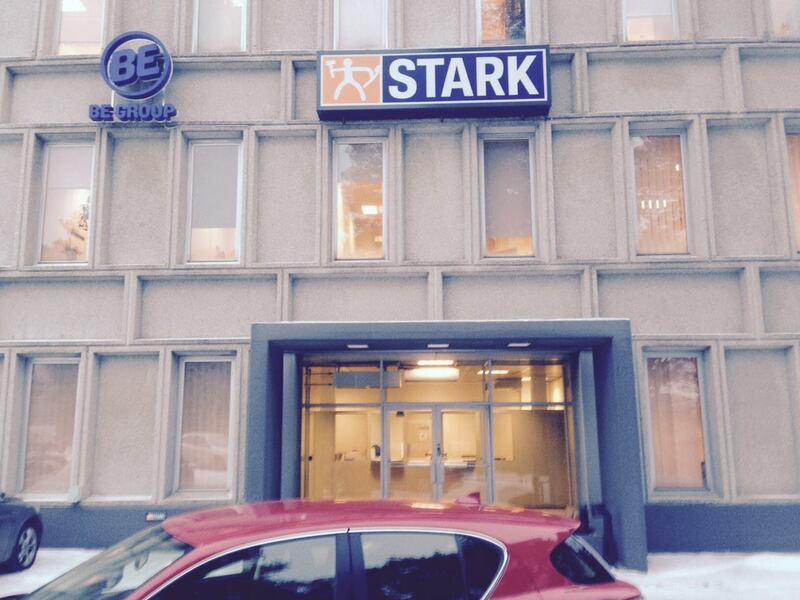 Steve is spending the day helping a Presidents Council member sell into Stark in Lahti, Finland. 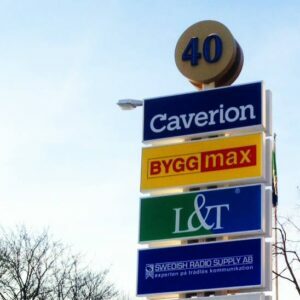 Stark has 38 stores in Finland and another 92 in Denmark with annual sales of around $1.5 Billion USD. They are a traditional home center format although around 80% of their sales come from the professional / contractor customer. Stark is owned by the DT Group out of Denmark. 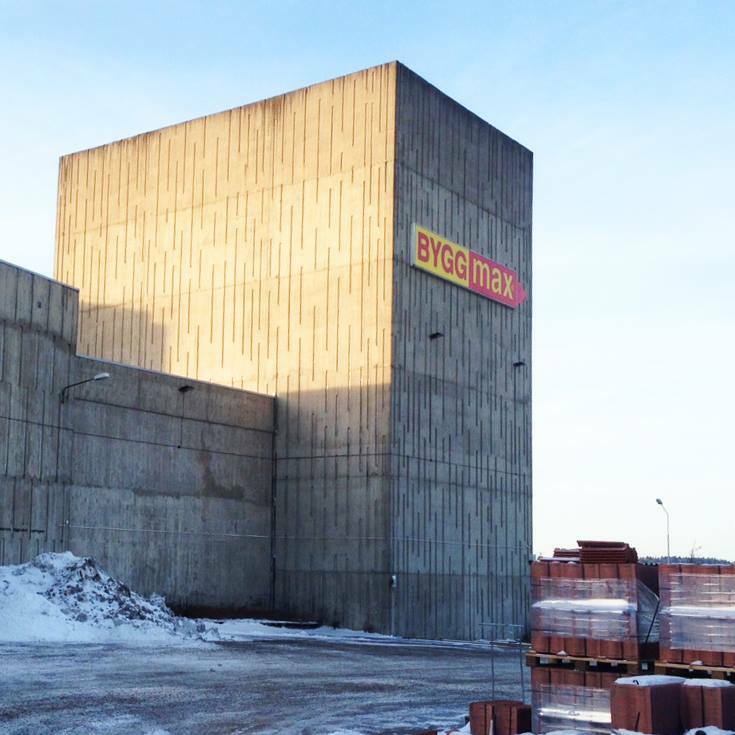 Together with Beijer, Neumann Bygg and Silvan the group’s annual sales is around $2.5 Bil USD. 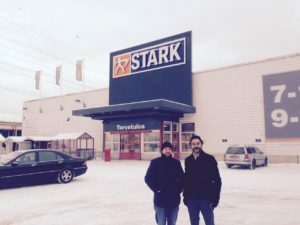 We visited the Stark headquarters in Lahti as well as one of their stores recently rebranded from “Starkki” after completion of an acquisition of a smaller pro dealer.